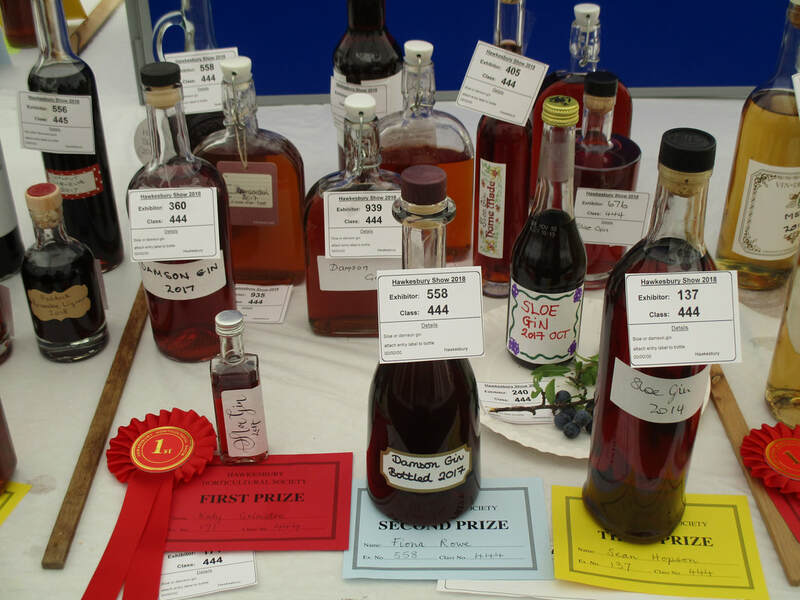 The Hawkesbury Horticultural Show takes place on the ﻿last﻿ Saturday in August every year. Gates open at 12.30 p.m.
​133 years without ever being cancelled for war or adverse weather. It attracts huge crowds of visitors each year and is held at the Village Hall and recreation ground, High Street, Hawkesbury Upton,South Gloucestershire GL9 1AU. The main attraction is the large produce marquee, full of the biggest and best fruit, vegetables and flowers as well as home baking, varied crafts, home made wine & beer, original photographs and pictures – all produced by the local community. "Meirion Owen and the Quack Pack" - Welsh farmer Meirion and his sheepdogs provide an amazing display along with the "Quack Pack" of Indian Runner ducks, with audience participation. The skills of Meirion and his sheepdogs are often tested by the frequently uncooperative ducks! Axemen Display Team - An amazing display of traditional lumberjack skills, showing strength and accuracy, along with competitive axe work. "A guest appearance by Terry Walton" - Allotment guru Terry appears regularly on Radio 2's Jeremy Vine Show. Rainbow Gecko Bubble man – bubble magic and giant bubbles. ​Fun for all ages throughout the afternoon. Tractor pull competition - see if your team can pull the tractor in the fastest time. Grand Raffle with a fantastic array of prizes. Edward Kent Shooting Stall, featuring "Have a Go" clay shooting and air rifle shooting. Archery lessons with the Bath Archers. The popular carnival procession begins with the crowning of the Carnival King or Queen before travelling through the village to the Show Ground, led by the Nailsworth Silver Band. The Carnival King or Queen is crowned on The Plain at 1.30pm. The prizes are distributed at 5.30pm, and a local celebrity will be handing out the trophies and awards. The show concludes at 7.00pm with the Grand Auction of Produce led by auctioneer Nick Cragg from Country Properties of Chipping Sodbury. "5 things to do in the Cotswolds this weekend"
"Hawkesbury Show is back for its 133rd year"
"Hawkesbury show is back for its 132nd year"
"Best August bank holiday breaks in Britain"
Included in the Gloucestershire Echo's "15 things to do in Gloucestershire this Bank Holiday Weekend"